Most of our patients prioritize eye health since eyesight can be the most treasured and significant sense to maintain. Here at Stack Optical, we share the same priority as our patients offering the most comprehensive eye exams in the Denver area. Regular eye exams are so important for the whole family in order to monitor eye health and give us the opportunity to proactively diagnose any issues in the early stages. Each of our extensive eye exams evaluates for numerous eye diseases in addition to determining the best prescription for your vision correction. Backed by years of medical training, in-depth patient experience, and a devoted passion for learning all the breakthrough developments in our industry, our team utilizes state-of-the-art technology to proactively diagnose eye disease. For over 50 years we’ve extensively examined our patients, catching early signs of glaucoma, cataracts, diabetes, thyroid disease, high blood pressure, and macular degeneration, in addition to numerous other ocular and systemic diseases. Through a visual examination, we meticulously check every component of your eyes to ensure each intricate part is healthy and effective. Some ocular conditions happen slowly over time making it even more vital for our team to take the time to observe the inner workings of your eyes and taking thorough notes of any subtle changes we detect. We offer on-site, professional Eye Exams by an independent Doctor of Optometry using state-of-the-art equipment and diagnostic tools. Our experienced technical staff is also available to help you make the best possible choices with regard to your new frames and lenses. Stack Optical is dedicated to utilizing the most advanced ocular technology available in the market. Making sure we have state-of-the-art technology can make all the difference in providing the utmost care our Denver patients need. Early prevention is always prioritized in order to significantly lower the risk of permanent damage and get a head start on proper treatment. Stack Optical understands the importance of ocular technology but the most vital thing in any eye exam remains the time and care the eye doctor devotes. That’s why we spend the time understanding your personal vision background, determining if there have been any recent changes or symptoms you’re experiencing with your vision, as well as check thoroughly for any indications of potential eye conditions. 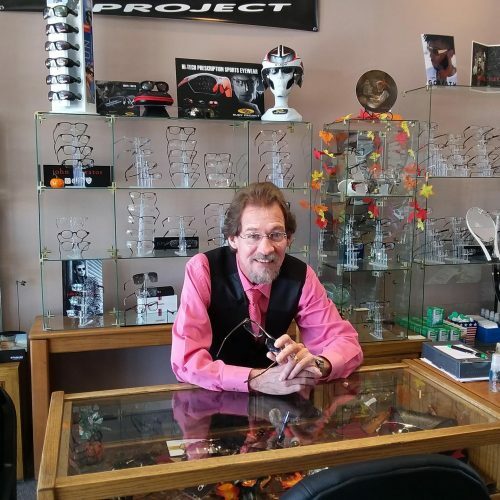 We carefully work with you to find the best prescription for your vision. In addition to determining your prescription, our doctors are here to help you find the right product based on your lifestyle and any medical conditions. The comfort and health of your eyes can be closely tied to what type and brand of contacts or glasses you use, making it vital to find the perfect fit. Monday – Friday 9:00 a.m. – 5:30 pm. We accept all major credit cards including Visa, MasterCard, Discover, and American Express. Major vision plans are accepted. 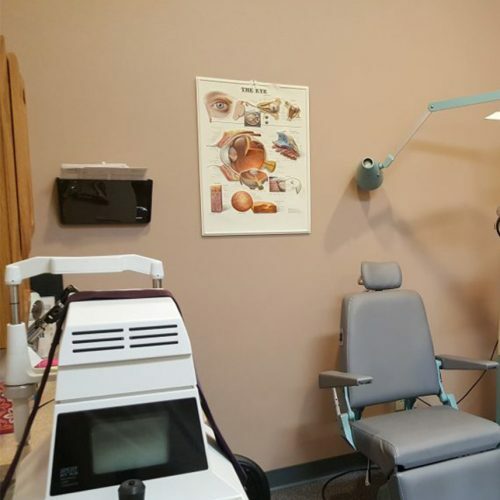 For more information regarding our comprehensive eye exams, please contact us at 303-321-1578!